I started making plans for tomorrow while I was still at work today. That was when it began to snow. And 8 inches at least are expected overnight. Whether or not I hear at 5:30 in the morning on the radio that the building is closed, I may decide I don't want to get in my car and drive to work. If the building's open, that means using up a vacation day, but I might consider it. I don't like driving in snow, and by the time I got home tonight, I'd had enough. I recently signed up to participate in the February ScanFest, but there's more than enough scanning for me to do; I can do some now, and still have enough then. Scanning is a perfect activity for a snow day. I'd prefer to go to the library, and do some more microfilm research, but that would involve getting in a car. I'm likely going to the library Saturday morning anyway for the St. Louis Genealogical Society meeting, and I'll do a little research afterwards. The snow should have stopped by then, and the streets should be cleared. Of course, now that I'm posting this, we will get only a light dusting, and I will feel obligated to go in to work tomorrow. Update *sigh* It wasn't a light dusting, but I couldn't bring myself to use up a vacation day. At least I have my next scanning project picked out. About a week ago, Charter Communications accidentally deleted several thousand customer email accounts - content irretreviable. Sally Jacobs of The Practical Archivist posted a reminder to back-up your emails. Back in 2004, when Google's Gmail was still in its 'invite' stage, I managed to snag what was then a rare invite. I fell in love with it. Being able to access my email from anywhere is extremely useful, and Gmail was a lot more user friendly than other webmails I had tried in the past. Soon I had all my email addresses (I have a few) forwarded to my Gmail account, and I haven't stored emails on my home computer since. My rationalization was that my email is actually safer on Google's servers than my own. Despite whether or not what happened at Charter could happen at Google I still believe this to be the case. (There may be more backup protocols at Google now than there were at Charter, as this did happen at Google a year ago on a much smaller scale - 60 accounts were lost. But for those 60 people, it was just as much of a loss as it was for the 14,000 Charter customers.) Computer crashes on personal home computers happen more often than major email providers accidentally delete accounts. While almost everyone backs up their photographs, and other important documents, how many people actually make a backup to Data CD, Data DVD, or an external hard drive of their email? What happens when your computer crashes? (Not if. Computers are expensive, and lots of people use a computer until the day it irrevocably crashes.) You may feel less safe since you're not in control, but I still feel email saved on an external server is safer than on a home computer. That will save a copy of all incoming mail on Google's servers. To save a copy of outgoing mail, if you send it via gmail and not from your home computer's application, you'd have to cc or blind cc yourself so that you receive it as incoming mail. Everything you are doing now by receiving mail at home on your home computer wouldn't change. You'd just have a stored copy on the web you could access at any time. 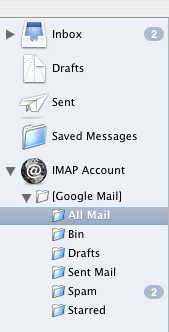 Setting up IMap makes your home computer's email and your Gmail account appear to be synched mirrors of each other. When you do something at one, it happens at the other. Move a message to a folder, receive a message, doesn't matter. Works with other email devices too. If you have labels in your Gmail account, they will appear as separate folders. If an email message has multiple labels, it will appear in multiple folders. So what about deleting messages? What happens if you delete a message at home accidentally? I tried to do this. In Apple Mail I went to the "All Mail" and deleted a message. It looked like it disappeared. I went to a different folder, returned to "All Mail" and the accounts resynched and the email appeared again. I had to move the mail I wanted to delete to the "Bin" folder for it to stay. Logging into my Gmail account the deleted msg is in the trash bin. Another message I had just clicked "delete" while in "All Mail", is still in the inbox, but has the label "deleted message" indicating that I had tried to do so. Once in the bin (on Apple Mail, or WebGmail) clicking 'delete' permanently deletes. But there are enough steps here that it isn't going to happen accidentally. What would happen with a personal computer crash/Google crash? This is why I used the phrase 'appear to be synched mirrors of each other' above. What's really happening is that the mail is being stored on Google's servers, and your home computer is accessing that. With constant DSL/Cable connections this works. But its not on your computer -- unless you manually move emails you want to save to your hard drive to a non-Imapped folder. Which is what the "Saved Messages" folder is for in the image above. If you know you want a copy of every email on your home computer, you probably will want to use Pop3. (Including every spam, every joke Cousin Fred sends, etc etc). Imap makes it easy though to move individual emails you want to save to your home folders. You can combine the two. 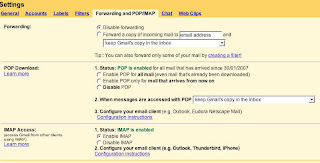 Receive all email at home through Pop3 on your Mail application. Make sure a copy is stored in your Gmail account. If the account is also IMapped, you can view all the messages in your online sent folder. If you aren't ccing yourself when you send messages from gmail, they won't be on your computer, but that limits the number of messages you need to manually move to a saved folder. Hopefully this isn't too confusing. Everything in this post has assumed you are using Gmail and Apple Mail. However, Gmail help menus have instructions for setting up Pop3 and IMap for several email applications, and it should probably work similarly. If you are using Hotmail, Yahoo, or another web-based email service they probably have help menus as well. City directories are a wonderful resource, if your ancestors lived in a city that had them. Most of them aren't online, so you have to get out of your pajamas, into some clothes, and head to a local library, or whatever location has them on microfilm, or possibly still has paper copies. Some City Directories are available online. If you put "City Directory" and your city of choice into Google, you may find a few. I haven't found any other complete directories online for St. Louis. Footnote has a good primer on the usage of city directories. They provide a list of common abbreviations, but note that some directories have their own unique abbreviations, so it is important to check their key. This is true, for example, 'r. ', according to Footnote is commonly used to reference the rear of a building. However, the St. Louis City guide uses it to mean 'resides', to indicate it is the home address. Yesterday I spent 3.5 hours looking at 15 years worth of microfilm That's a little over 4 rolls an hour, and a roll every 14 minutes. Considering I am looking up five surnames, I think this is pretty good. I noted back in August that I am mechanically disinclined, and my first attempt to use the microfilm machines was somewhat embarrassing. But I learned quickly. I covered 1888-1902. There's older film, but my family began to arrive at about that time. I will cover post-1920 on future trips, and I will also have to go through the St. Louis County directories as well, since they're separate. It's going to take several trips, but the information is worth it. 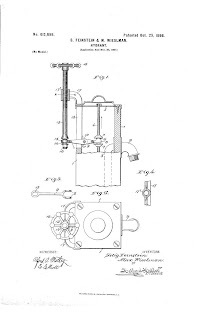 For example, when I mentioned a week ago about the patent for improvements to hydrants my ancestor, Selig Feinstein, filed, I said he was into real estate and laundry, and I wasn't sure how he knew about hydrants. He first appears in the 1892 directory, and by 1902 hasn't gone into either industry. From 1892-1898 he is a 'shoer', and from 1899-1900 a 'blacksmith' with his business partner (and co-patenter) Max Weiselman. Horse Shoeing and Blacksmithing are, of course, related fields, as this Guide to Modern Blacksmithing from 1904 illustrates. Since the profession involves use of fire, close proximity to, and knowledge of how to use a hydrant was probably crucial. In 1901 Selig left his partnership with Weiselman, and became a dealer of junk with his own store, The Western Junk Shop. He's still there in 1902, and his son Harry appears as the bookkeeper. It will be interesting to discover on my future trips to the library how long that business lasted, and what else he did. (*) If I had done this Google search before my trip to the library, I probably wouldn't have looked at the 1889 and 1890 rolls of microfilm. This would have been a mistake. Because despite Ancestry's claims, I question that they have both directories there. I have two surnames with family members who were in both directories. I wrote down exactly how their names were spelled in each. In both cases, when I conduct the search, I am given the entries for 1890, but not 1889. For example, a search on Blatt, yields Charles and Reinhold. The addresses Ancestry provides both come from the 1890 directory. Reinhold and Charles were residing at a different location in 1889. I trust my notes. And even if they were at the same location, the 1889 entry should be displayed as well. It's also appropriate perhaps to honor the community service activities of our ancestors. Tuesday night I made a discovery about my second great grandfather, Selig Feinstein. Apparently he was active in the Chesed Shel Emeth Society. The Society was originally founded by Russian Orthodox Jews in St. Louis to provide free burial services to the entire Jewish Community. By not charging anyone, the needy didn't have to prove a level of need at a time of mourning. Once the cemetery was established, they moved on to other things, like establishing an Old Folks Home. Selig’s name is mentioned in Zion in the Valley: The Jewish Community of St. Louis. This book was published in 1997, and is searchable at Google Books, which is where I found the information. Those efforts reached a climax in the early 1900s. On February 15, 1906, at a banquet given by the Chesed Shel Emeth Society, some of its members proposed "to establish a home for old and infirm Jews and Jewesses where they shall be enabled to spend their remaining days in peace and comfort without being compelled to deny themselves their religious inclinations." With an overwhelming approval of those present, Society President John Ellman appointed a committee of Meyer Shapiro, Hyman Albert, and Selig Feinstein to consider further action. The committee in turn convened a mass meeting chaired by Rabbi Adolph Rosentreter to test reaction from more of the Jewish community. Both turnout and financial pledges at the gathering far surpassed even the most optimistic of expectations. Selig's mother would die six months later in August of 1906, and it's possible he had some first-hand experience with the problems caring for an aging parent which may have been part of the reason he was assigned to the committee. In the footnote, the book cited four issues of a newspaper I had never heard of - The St. Louis Jewish Voice. It was a newspaper of the local Jewish community from 1884-1920. A quick search turned up microfilm at the local library. Yesterday I spent an hour reading old news stories, and I could have spent more, as I had difficulty remaining focused on just looking up the four issues. It was a weekly newspaper, and each issue was only 8 pages long, so it wouldn’t be difficult to scan through them for names. If I could train myself not to stop and read. Unfortunately, the four issues didn’t contain any additional information on Selig. His name was mentioned in the May 31, 1912 issue, and the article was a 5-year recollection of the founding of the home, so the sentence he appeared in was almost identical to the one in the book. The Chesed Shel Emeth Society still exists, but they are focused on the cemetery. Selig is buried there along with seven other Feinsteins, including his mother, wife, three sons, and two grandsons. I am going to have to find out if the society has any archives of minutes, or any other information on Selig’s activities. The Library of Congress has a Flickr page where they've currently uploaded 3115 photographs from their historical collection. There are two sets: News in the 1910s (1500 photos) and 1930s-40s in Color (1615 photos). The photo on the left is obviously from the 1910s set. 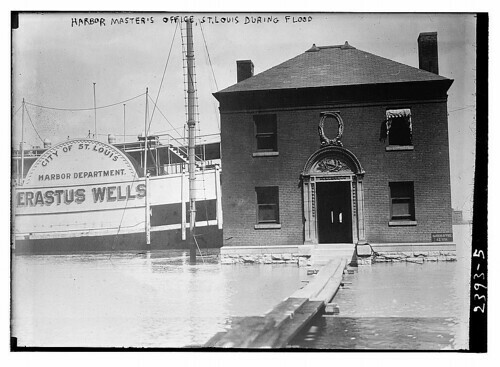 It's a photo taken during a flood of St. Louis. If in November, the US election is between Obama and McCain all American descendants of William the Lion will be emotionally torn: which cousin will they vote for?. If this genealogy is correct, William I was a descendant of Charlemagne. There are some who claim I am too. I don't necessarily believe these claims, but for the sake of this post, I will count myself a cousin of Obama and McCain. I suspect if I really do go back to Charlemagne, I'm related to a few other important historical figures. Some have argued, that mathematically, everyone in the Western World is descended from Charlemagne *and* Muhammad. Of course, statistically speaking, there are 0 people in the US with the surname Barrymore. Comes as a surprise, doesn't it? So if we hypothesize that the statistical calculations that went into computing the likelihood of the Barrymore Surname failed in that case, can we also hypothesize that the statistical calculations that computed everyone in the Western world are descended from Charlemagne and Muhammad are also possibly in error? One of my resolutions this year was to go on a diet. Could you tell? Megan Smolenyak Smolenyak of RootsTelevision has a fun video on whether she married her cousin, and the value of DNA surname studies. At the end she says to find out if there is a DNA surname study for your surname already, go to Google or another search engine and type in: YourSurname DNA Genealogy. She says the surname study should be the #1 hit. When I do that, my blog is the #1 hit. I realized I shouldn't be too surprised. Possibly if there was a surname study it would be ranked higher. Someday I may find out. I could only find one of my great grandparents' surnames with a current study - sort of. Feinstein. However, my ancestor changed his surname to Feinstein, so I'm not related to any Feinstein who isn't descended from my great-great-grandfather, and that's pretty limiting. Ironically, the Feinsteins in the surname study are also 'New Feinsteins'. They're really Talalays, who changed their name to Feinstein in Philadelphia. The study is headed by Schelly Talalay Dardashti of Tracing the Tribe. After realizing the only surname study even tangentially related to my tree was started by a blogger who I've been reading for several months, who I may not be related to at all, I next wondered how many families changed their name to Feinstein when coming to America. What the proportion of "New" Feinstein families were to "Old" Feinstein families, what it would mean if there were more "New" ones, and how far back did a surname have to go for it to be 'old' in my mind. 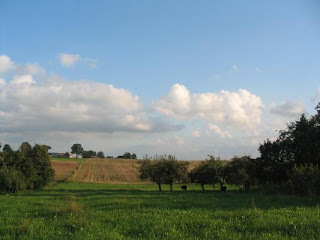 I received an email today from someone who says they found me through my blog, and a family tree I posted at Ancestry. I was glad to help them, and did so primarily by redirecting them to a cousin who knew the branch of the the family they were interested in better than me. But I was thankful for their email in reminding me of the tree I posted on Ancestry the first few weeks after I discovered the website. It was pretty early in my research - the information was full of errors - and on some entries missing something very crucial in any family tree posted to Ancestry - birth and death dates. Ancestry assumes people without dates are dead. I had a little difficulty deleting it though, because when I first discovered Ancestry it took me awhile to decide whether or not I was going to subscribe. So I signed up several times under their 2-week trial period. This isn't difficult to do, as all one needs is a new email address, and since I own several domains, it's easy for me to create email addresses. John@domain1.org John23@domain2.org etc. I could get Ancestry free for life, but registering with a new email address every 2 weeks would be annoying. It's just easier (and more honest) to pay. I had to sign in to my current account to send an email to my old account so that I could find out what email address that account had used. Then I had to tell Ancestry that the owner of that email address had forgotten their password, because he had. They sent me to a page where I could pick a new one. Then I signed in, went to My Ancestry, and deleted the tree. It's now gone. I might create it again, but if I do, it will be more accurate, have dates, and locations, and probably won't include any living people. There are a lot of different branches of genealogy I have heard about. Genetic and Forensic, for example. But I hadn't heard about the Astronomic. Apparently, though, scientists have discovered the ancestors of the Milky Way. So I'm sure the term, Astronomic Genealogy isn't too far away from being coined. Astronomers at Rutgers and Penn State universities have discovered galaxies in the distant universe that are ancestors of spiral galaxies like our Milky Way. These ancient objects, some of the first galaxies ever to form, are being observed as they looked when the universe was a mere two billion years old. Today, scientists peg the universe’s age at 13.7 billion years, so light from these galaxies traveled almost 12 billion years to reach Earth. You might think that Astronomic Genealogy is very different from what we do. Maybe not. Though I suspect the spelling on their censuses is more uniform. I mentioned Sunday that I was mailing out two letters Monday morning. It's Wednesday, and so far I have a 50% response rate. I probably should give the second letter a couple more days, especially since that is the one that was going to Texas. The response came from someone who lives five minutes away. I could have knocked on his door, or picked up the phone, but both would have been somewhat stalkerish, and the individual was born in 1925, so I wrote a letter, and he called me tonight. He was very friendly. Most importantly, to me, he confirmed my suspicions that Tillie was the sister of Selig (Dudelsack) Feinstein. I was already pretty confident of this, due to Tillie's death certificate (her father was listed as 'Duderzock'), but while my cousin didn't recollect anything about Tillie's parents, he did remember one of Selig's daughters, Pearl. He couldn't remember how they were related, but I know that, so there is no longer any doubt. I'll mail him a family tree he can pass on to his daughter. He apologized for his fading recollections, but did tell me a few things about his uncles and aunts, and provided the addresses of two younger cousins. While I don't know much that is really new information, it was exciting to talk to a grandnephew of Selig. There aren't many of his generation left on my side of the tree. The APG-L mailing list (Association of Professional Genealogists) has been discussing what defines a professional, and what to call a non-professional. Just because someone doesn’t get paid, doesn’t mean the quality of their work is amateurish. Some people don’t like the connotation of the term ‘hobbyist’, though denotatively, all it means is one doesn’t get paid. 'Avocational' has been suggested. It’s denotation is identical with hobbyist, though since it is used a lot less, it hasn’t developed a negative connotation in some minds. Note: “Denotation” is the literal meaning, the dictionary definition, and ‘connotation’ is the positive and negative emotions that are usually associated with the word. For example, both of the words “denotation” and “connotation” have erudite associations connected with them. Whether erudition is positive or negative depends upon who you are. ‘Avocational’ is also erudite, in my opinion. Hobbyist works for me. Genealogy Hobbyist. I considered suggesting Armchair Genealogist briefly, though that’s not the exact meaning required. (“Remote from active involvement”) It would, though, have a very useful application. Those genealogists who remain glued to the chair in front of their computer. I’ve done a lot of that sort of genealogy, but I haven’t limited myself to it. Someday I would like to be a professional author. I have published a handful of poems, and one work of short fiction, for money, but my total income is miniscule. I also received some money for performing my poetry, once, but it is still on the level of a hobby. However, while I aspire to be a professional, I never expect to make my sole income from writing fiction or poetry. Very few authors do. That doesn't mean they aren't professionals. I am a professional writer (not an author) as I get paid to write grant proposals for a local non-profit. However, if I am in a smart-alecky mood, I will often refer to my job as professional beggar, or I’ll use the Yiddish term, ‘schnorrer.’ I’m begging for the benefit of others, and not for myself, but it is how I make my living. I am an armchair blogger, but few bloggers blog anywhere else. Lisa at 100 Years in America began this meme: Where was my family in 1908? Several others have picked up on it. I have found it interesting comparing the several branches of my family, and following the paths that led them all together. Martin Deutsch, was born in 1907 in Transylvania, in what is now Salaj County, Romania. In 1908 his brother Armon would have still been alive. It's not certain, but my best guess is that The Accident I wrote about back in October occurred in 1909. They came to the US in 1913, and settled in Chicago. Myrtle Van Every, was born in 1900 in Texas. In 1908 she was probably in Caldwell County. That's where her father was in 1910, but no one is listed with her father on the 1910 census, which is extraordinarily strange. Her oldest sister, Minnie, born in 1884, was already married. Myrtle wouldn't meet Martin until the 1930s - both of them ending up in St. Louis following jobs. They were married in 1936. Samuel and Rose Newmark, with children, including my great-grandfather Barney were all over the place in 1908. In 1904, Samuel and Barney traveled to Canada, and had spent 3 years there, crossing the border into America in July, 1907. They claimed they were headed to St. Paul MN to visit a cousin named Joseph. No one knows who this cousin was, or if he even existed. Samuel's middle name was Joseph, and the cousin could have been an invention. The next record has them, and brother Sol, arriving at Ellis Island in October of 1908. So they had traveled back to London, picked up Sol, and returned to NY in that time. Now they claimed they were headed to Memphis. 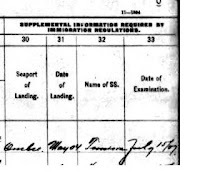 Since the 1909 immigration records for the rest of the family claim they are headed to Memphis too, it's probably likely that Samuel, Barney and Sol really were in Memphis the last few months of 1908 while the rest of the family remained in London., where they had been while Samuel and Barney traveled through Canada and the US. 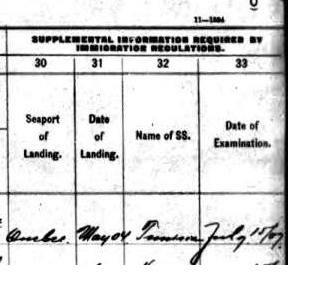 In 1909 Sol's wife, Sarah gave birth to a daughter in St. Louis, and the whole family is in St. Louis in 1910 for the census. What happened to Memphis is unclear. Update: Samuel and Barney actually arrived in Canada in 1907 and were only in Canada for 2 months. My original error was based on this border crossing document. It appeared they landed in May 04, but that should say May 07. IV. The Cruvant Family: Flip a coin. Heads: St. Louis, Tails: Chicago. I really don't know. I hope to figure out through perhaps the voting records. I have a cousin who has done a lot of research on the Cruvants, including going through the city directories. From 1889-1901, for almost every year, I have the St. Louis City address for patriarch Moshe Leyb (Morris) Cruvant - and assumedly the rest of the family. In 1904, Morris is in Chicago, along with his son, Ben. I have no idea where everyone else is. Did they go to Chicago with them? Did they remain in St. Louis? In 1904, Ben marries a woman in Chicago, and then proceeds to have two children. Both Ben and Morris are in East St. Louis in 1910. Ben's wife, and children, are in Chicago in 1910, she is listed as a widow, though Ben is alive, just 600 miles away, waving goodbye to his first family, and marrying wife number two in 1912. This is also about the same time Ben's sister, Bertha gets married to Barney Newmark, and my grandfather is born. My guess is in 1908 Bertha was either in St. Louis City, or East St. Louis. Though her father may have still been in Chicago. In 1908, Anna Blatt, daughter of Morris, is about nineteen years old and living in St. Louis. Two years later she is a lodger in an apartment next door to where her older sister, Blanche, is living with her husband and growing family. Blanche married about 1903. It's likely in 1908 Anna was already next door. They got out of the family house as soon as they could, because they had a stepmother, and the step-family apparently didn't treat Anna and Blanche well. Nothing at all unusual about the Dudelsack-Feinsteins. They are in St. Louis City as well. The father is in the Laundry business, and the children help. Son, Herman will marry Anna Blatt in 1912, and my grandmother will be born in 1914. 1908: Transylvania, Texas, possibly St. Paul, Atlantic Ocean, London, Ellis Island, Memphis, St. Louis, and perhaps Chicago. I think I have found a perfect example of my level of impatience. When I was a teenager family members accused me of having a type-z personality. Those stress-indicators that hospitals hand out that you press your finger on the card for 30 seconds, and it turns black if you are stressed, bright blue if you are relaxed, was always bright blue for me, even on the morning of high school exams. About the only time I notice myself getting impatient now is when I am standing still, and want to move forward. This happens a lot in cars. I’m usually alone in a car, so my family has never heard the things I have said at these moments. But figuratively, it can happen in family history research. I noticed over the weekend that the Missouri Death Certificate index online still only goes up to 1956. I was expecting 1957 to be added. It is only January, though, and there are still several years in their index, which are not scanned in, so I figure they’re focusing on that. This morning I added several sites to my blogroll on the left that I have been reading, but hadn't yet made it to the list. Then I headed to the first meeting of the St. Louis Genealogical Society of the year. Interstate 40/64 for a several mile stretch in St. Louis has shut down on January 2nd for a year for construction. Next year, another stretch will be shut down. Many people in the area are in a total mess of confusion. The dividing spot West of which is shut down this year, and East of which will be shut down next year, is where I live. So while I normally would take the interstate to the meeting, I had to find another route. It added a little excitement to my morning, but I made it. The meeting was interesting. It was on 'creating a master plan' as it relates to solving genealogical puzzles. The speaker led us down two case histories where she researched two 'apparent aliens' who had landed on Earth, and their descendants had no clue what planet they had come from. Hearing the processes she went through gave me some ideas. This evening I finished up some blind letters I had been working on to send to some distant likely-relatives. A few minutes ago I was looking through the list of topics the St. Louis Genealogical Society will be discussing each month in 2008. September's topic caught my eye. "Voting Records." I hadn't thought about those. "Are they available?" I asked myself. I figured the answer was probably, 'Yes,' or the September presentation would be awfully short. I didn't want to wait eight months though. So I went to the Stlgs website and found the information there. City records, where most of my family lived in the first half of the 20th century, are available from 1897-1977 in the same library I was at this morning. It might help me track my ancestors' locations between censuses. 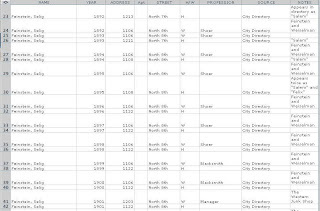 County records are available from 1924 on in different locations. Three out of four sets of my father's great-grandparents were in St. Louis by 1897. The Newmarks arrived in 1909. If it went back a few more years, it could help fill in for the missing 1890 census. (At least for the fraction of the citizens who could vote). St. Louis also has city directories which are helpful for those years, but the voting records will have signatures, which could be helpful for those whose names seem to change from one directory to another, unless the signature is just an X. It should also be interesting to discover how regular my ancestors were in voting. Jasia at CreativeGene has posted the 39th edition of the Carnival of Genealogy. As genealogy bloggers weigh in on their New Years Resolutions, the C0G is now officially older than I am. While I will turn 39 in a few weeks, the CoG will turn 40 one week beforehand, and after that, I'll be left in the dust fairly quickly. Text: "As president of the United States, I was present at the first Pan-American congress in Washington D.C. I believe that with God's help, our two countries shall continue to live side-by-side in peace and prosperity. . . Benjamin Harrison."